Mickey Owen’s interest in musical entertainment stems from his 17 year career as a music educator and performer. It is Mickey’s experience of serving as a member of the Michigan State University Drumline, inspiring thousands of students to perform as a music educator, composing his own music, incorporating percussion into his DJ mixes, performing as a percussionist, and designing musical productions that will propel your wedding experience to a new level. If you desire a DJ who will provide musical entertainment that caters to your needs, DJ Mick is more than happy to assist you. If you desire a DJ who incorporates his percussion skill-set into his DJ mixes, DJ Mick is the choice for you. Please feel free to contact DJ Mick to provide specialized musical entertainment services for life’s most important events. Rusch Entertainment was amazing from the very beginning! Mickey was our DJ for the night but helped out out so much before our wedding coordinating everything. He played everything we wanted and helped with ceremony and reception to keep everything running smoothly. He is the nicest guy and willing to help with everything. Our night was amazing because of the fantastic DJ that was there. Our guests, normally about 20+ people dancing at one time) danced all night and we all had a blast! Thank you Mickey for being exactly what we hoped for and more! We are happily pleased to recommend Mickey Owen as a touring DJ within your company. Last year, Mickey DJ’d our wedding, which was held in a tent at a remote location in Northern Michigan. The music selection catered exactly to our wishes and the party did not stop all night long. Mickey also has exceptional public speaking skills and knows how to keep a crowd engaged, entertained and having a good time. I would highly recommend Mickey as a DJ to any of my friends and colleagues that are in need of one, no matter what the event may be. Last summer, June 25 2017, Mickey Owen was hired as our wedding DJ. Mickey’s energy and enthusiasm carried through the entire evening and our guests had a wonderful time dancing to a wide variety of music. As a newlywed couple, Mickey was extremely helpful in making us feel relaxed throughout our evening. Mickey’s communication with us prior to the event was second to none. We had all our questions answered and Mickey was in constant communication with us whenever we needed him to be. 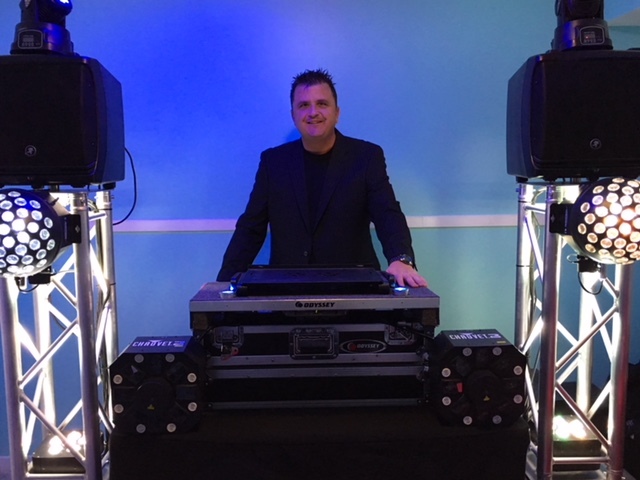 We would love to recommend Mickey Owen as a wedding DJ.